All of us know Whatsapp is the most popular Smartphone software used to exchange text messages,videos, pictures and audios instantly via an internet connection. when considering application for multiplatform mobile phones, Whatsapp is currently compatible with all major brands and operating systems of the world’s smartphones, like the iPhone (iOS), Android, Windows Phone, BlackBerry etc. The great advantage of Whatsapp according to its creators was the innovation of the system of use of phone contacts in the software. When a user downloads the application to your phone, it is not necessary to create an account or “add friends” to be able to use the platform. Whatsapp “scours” the cell phone numbers saved on the device and automatically identifies which is registered on Whatsapp, adding to the list of contacts of the new user. In January 2015, Whatsapp announced the possibility of using the software on the web, through the Google Chrome browser. 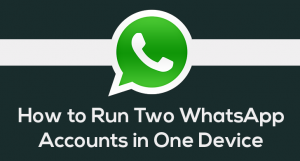 Now a days lots of users have more than one whatsapp account and its not possible to use two whatsapp’s in same mobile phone, but today I am going to show you how can you install two whatsapp accounts in same Phone and run two whatsapp accounts without any issues. I know you have tried lots of methods for installing two whatsapp on same mobile and you didn’t got success, But Don’t worry, After Reading this trick you will able to run multiple whatsapp accounts in same android phone. 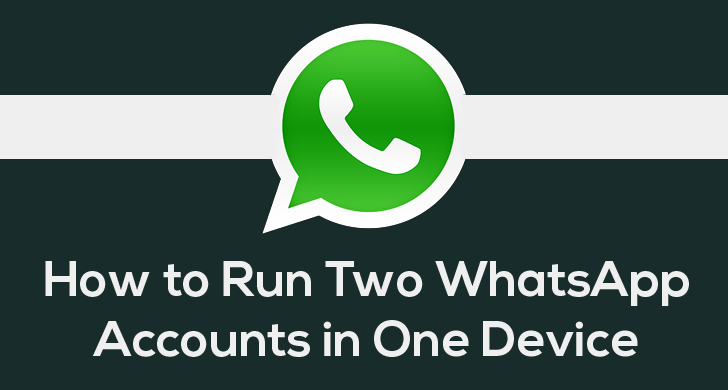 For Using Multiple accounts in your android phones most of the tricks available online needs root permission, by rooting you will loose the warranty of your mobile phone and it may damage your phone permanently, but with our latest and amazing trick you can install dual whatsapp accounts in your android phone without rooting it.